Welcome back to the last Mix It Up Challenge of 2015! We are going out with a bang because we are combining the Mix it Up Challenge with the super fun and inspirational 12 tags of Christmas with a Feminine Twist series! Seriously.... How fun is that?????? 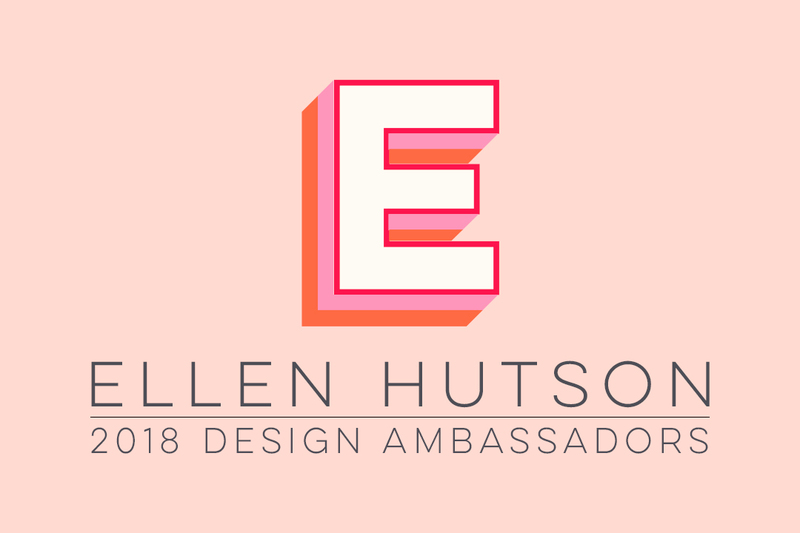 Before we get to all the details, please join me in congratulating our November Pin-Sights participant who was randomly selected to receive the $50 gift certificate to the Ellen Hutson store!!! Andrea's Paper Antics. Please email me at (laurelbeard at me dot com) to claim your prize!!! A friendly recap: The Mix it Up Challenge is a challenge where we invite one manufacturer to contribute a design that combines Essentials by Ellen stamps/dies with their product to inspire our readers! Die Cut Plush Holly Stocking Die from Memory Box. The base of the stocking was die cut from cardstock (cut two stockings) and the trimmings (white) was die cut from felt. 3. Stamp a sentiment from the Holly Jolly stamp set with Unicorn White pigment ink or Versamark Ink and heat set it with some white embossing powder. 4. Secure the second die cut stocking using strong tape. I used Be Creative tape. 5. Add a few jingle bells and voila, all done! And now, let's check out the amazing tag Penny has prepared for us today. Thank you for joining us once again this year for our 12 Tags of Christmas with a Feminine Twist series! Simply leave your appreciation for Laurel's and Penny's beautiful tags here today and you will be eligible for the random drawing of the $25 gift certificate to our store www.ellenhutson.com. Leave your comment before noon on December 13th to be included (one comment per person please.) Two more terrific designers will have new projects tomorrow - be sure to pop back in and see what they have in store for us!